This is what happens when you get five talented people together in one room, we make magic happen! The first shoot of the year was with Paul Larkins Photography, Alexa Jay modelling, hair by Lucille's Lock's and make up by Ms Moo, styling and dresses by me. 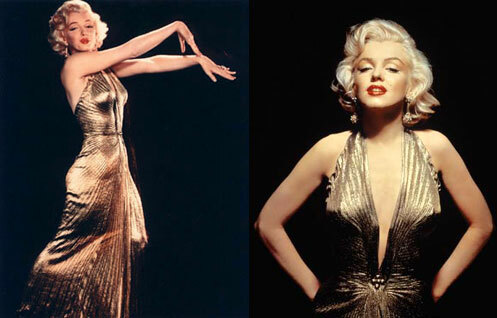 These two dresses were both inspired by dresses Marilyn wore. I wrote about the gold dress here on this post. You can see a behind the scenes shot at the bottom of the post. 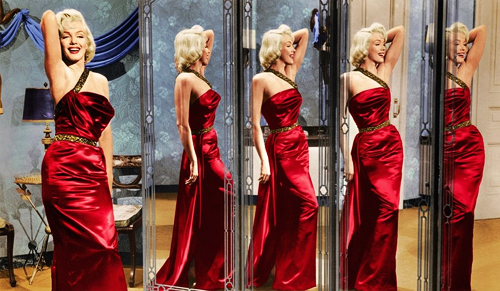 The deep red dress was also inspired by a dress Marilyn wore in How to Marry a Millionaire, i blogged about it here. I love both of these dresses. I grew up watching Marilyn Monroe films (I am only 31 but my grandma and granddad introduced me to her films) you are so very talented! !